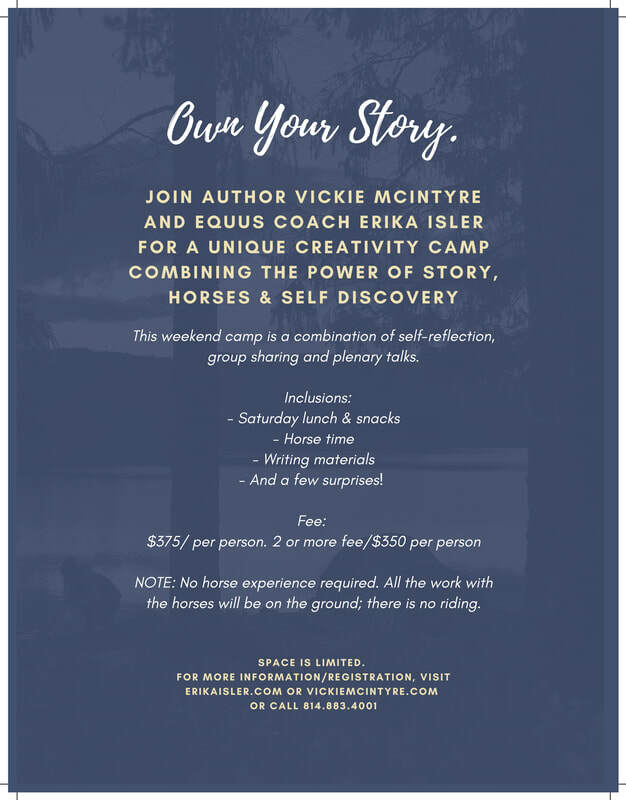 Vickie Mcintyre and I have known one another for a very long time. When I was the editor of State College Magazine, she was of a regular contributor and one of my most introspective writers. Intuitive, empathic and a deeply gifted (as well as wickedly funny!) it makes sense that we'd partner to offer something quite unique for creatives, artists and seekers of all kinds. 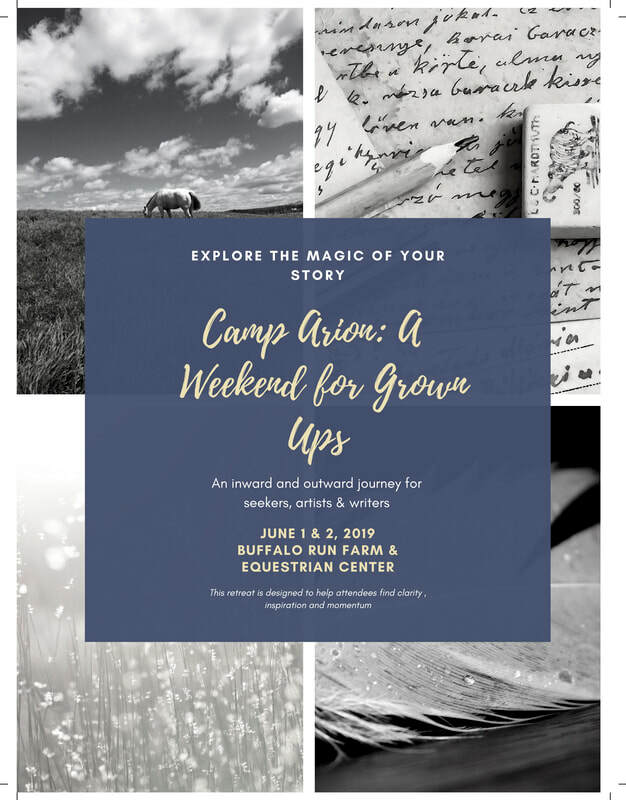 We hope you'll join us for this day-and-a-half "summer camp" designed to help attendees explore the magic of their stories, learn about their own intuition through hands-on work with the horses, and develop powerful personal plans for going forward.